New England can be a tough place to live during the winter. For those not fond of snow, after a couple snow storms we can really start to get annoyed. But, we aren’t the only ones that are dealt a more difficult hand when the weather starts to turn south. With snow, freezing rain and cold temperatures just like the storm we got this past weekend, our homes have increased problems to deal with as well. As we are deeply entrenched in winter, there are certainly some maintenance tips you can follow to make sure your roof is in working order, but understanding the effects is also important! When a roof doesn’t have proper ventilation, the temperature underneath the roof shingles may vary at the top of the roof and the bottom of the roof. When this happens, a roof that is warmer at the top will lead to ice melting. As the water makes its way down towards the edge of the roof, its met by a much colder roof that leads to refreezing. 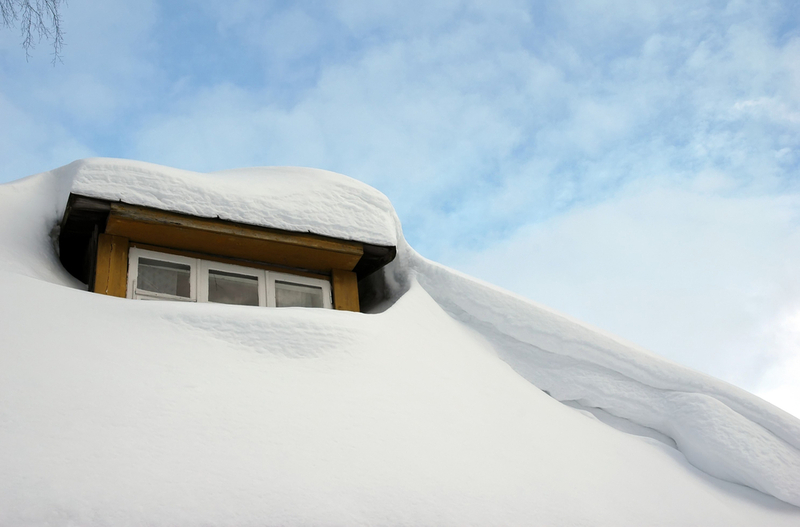 This freezing of the roof causes damage to the gutters, icicle build up, and more. While this happens more often when big storm after big storm hits an area(like in 2015) it can be a real cause for concern. Even if a roof doesn’t collapse, all the extra weight from big storms and wet snow can lead to shingle cracks and leaking. We are going to be getting some rain tomorrow, so be sure to take a quick look at your roof to make sure its in working order. It’s important whether you are getting a new roof installation or some repairs that you choose a trusted contractor. If installation improperly, you’ll find your roof is having far more problems than it should.